^ Hitchens, Christopher (July–August 2003). "Thinking Like an Apparatchik". The Atlantic Monthly. 292 (1): 129–42. Retrieved 26 April 2011. ^ Werth, Andrew (January–February 2004). 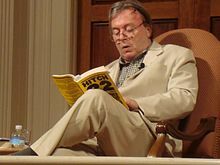 "Hitchens on Books". The Atlantic. Retrieved 17 February 2009. ^ "Why Women Aren't Funny". Retrieved January 17, 2019. ^ "Who Says Women Aren't Funny?". Retrieved January 17, 2019. ^ "Christopher Hitchens: Why Women Still Aren't Funny | Vanity Fair". March 3, 2008. Retrieved January 17, 2019. 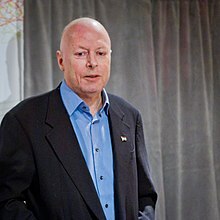 ^ Hitchens, Christopher (2008-03-03). "Why Women Still Don't Get It". Vanity Fair. Retrieved 2019-02-04. ^ Dalrymple, Theodore (June–July 2010). "The Brothers Grim". First Things. Archived from the original on 25 August 2011. Retrieved 25 December 2013. ^ Skapinker, Michael (22 June 2007). "Here's the hitch". Financial Times. Archived from the original on 2 July 2007. Retrieved 30 June 2007. (Subscription required (help)).